Giovinazzi showed Friday practice pace at Hockenheim. © FIA. 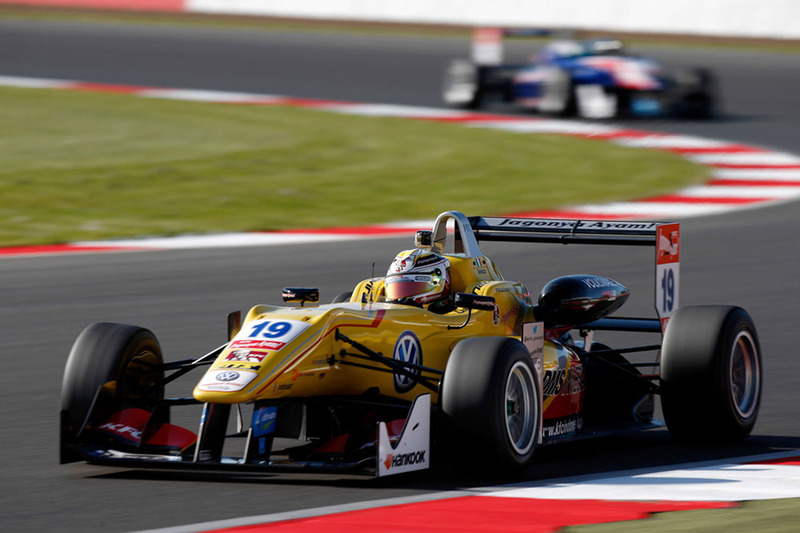 Antonio Giovinazzi headed both of today’s FIA European F3 free practice sessions at the Hockenheimring. Having proved speedy at times during the opening weekend at Silverstone two weeks ago, the Italian showed pace again at the German Grand Prix circuit. Looking content, Giovinazzi commented that, ‘the pace is good, the car feels quite nice’. His Carlin team also ran long stints of approximately 10-11 laps, with which both team and driver appeared happy. Lucas Auer made his presence felt in both sessions, with the Austrian coming closest to Giovinazzi during the quicker second session, helped no doubt by a new set of tyres in the late stages. It will come as some relief to the Mucke squad, who struggled for pace all the way through the opening round. Mucke’s other primary competitor, Felix Rosenqvist, also showed well on the timesheets. Max Verstappen also placed highly during the latter running, despite being some eight-tenths off the pace during the initial session. Round one race winners Tom Blomqvist, Antonio Fuoco and Esteban Ocon did not rise to the top, but threatened on occasion. It was something of an interesting session for Michele Beretta. The Italian suffered the attention of the stewards for breaking track limits on a number of occasions, before getting pinged for speeding in the pitlane.